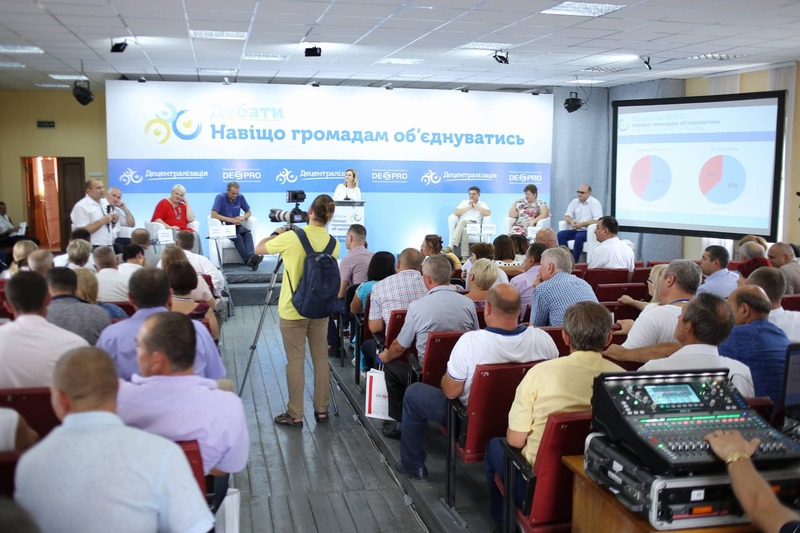 The debates on the topic “Why should hromadas amalgamate?”, organised by the Swiss-Ukrainian project “Decentralisation Support in Ukraine” (DESPRO) finished in Yampil city of the Vinnytsia Oblast. 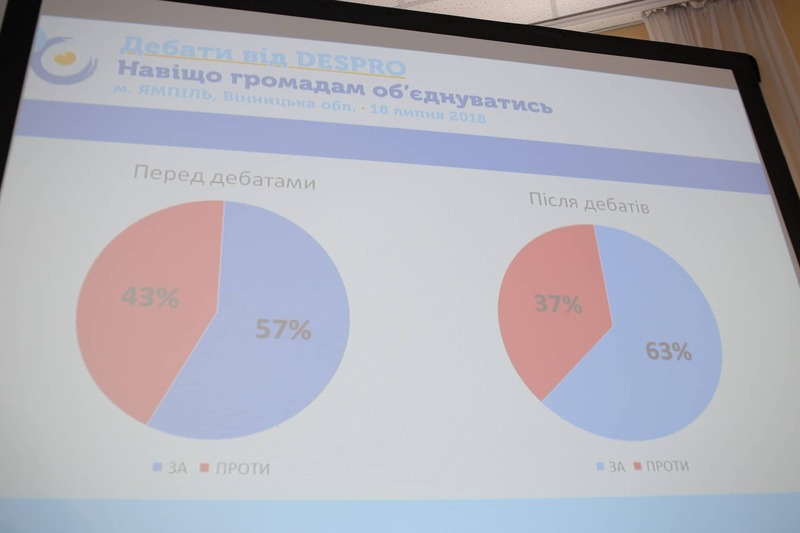 This is already the fifth similar event held by DESPRO: previously such debates took place in the urban-type settlement of Krasnokutsk of the Kharkiv Oblast, Zhovkva city of the Lviv Oblast, Ivano-Frankivsk city and in the urban-type settlement of Kelmentsi of the Chernivtsi Oblast. 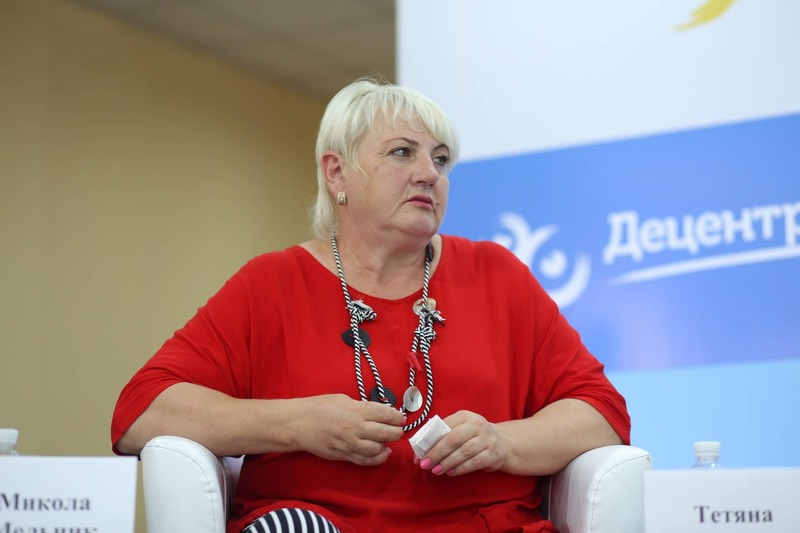 “At the debates in Yampil, we met the most dynamic, energy-filled audience,” said Oksana Harnets, head of the Swiss-Ukrainian project “Decentralisation Support in Ukraine” (DESPRO). “These people are true fighters! I think that those, who are currently not accepting the reform, simply oppose novelties. But the next step will necessarily be to analyse and accept these changes. The reform is irreversible. Therefore, it is better to join it and even lead it rather than to stay aside, waiting for someone to make a decision for you. We offer a few quotes from the lively discussion that took place in the hall. - There is no connection with our village. If the hromada centre is located far away, how will people go there in various affairs, for example, to get certificates? Moreover, I do not like the fact that one person will take over the power in the hromada. 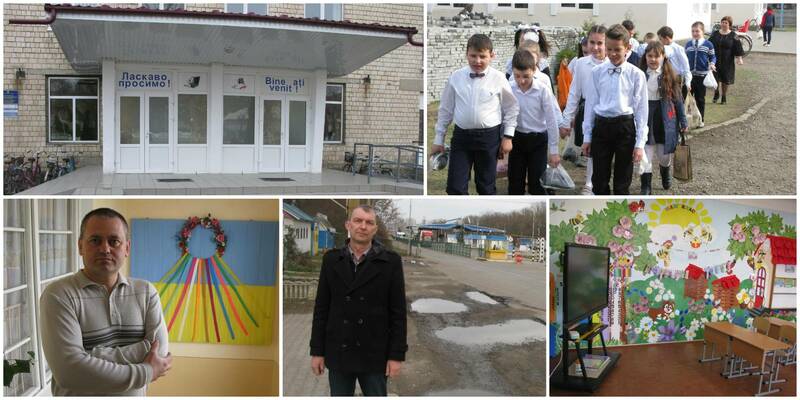 The next moment: if there are no schools and village council in the village, young people will leave the village and it will decay. And finally as far as revenues are concerned. You say that the village will receive more money after amalgamation. Where will these funds come from, if we have no plants, no factories, and, accordingly, PIT inflow? And once so, the money will still have to be begged for from the hromada centre, as we do now from the rayon. - Prior to voluntary amalgamation we visited every village, and everywhere made various promises. In a year we have fulfilled all of them. We have not closed any school. The AH is a new blood, new people, some of which can change something. 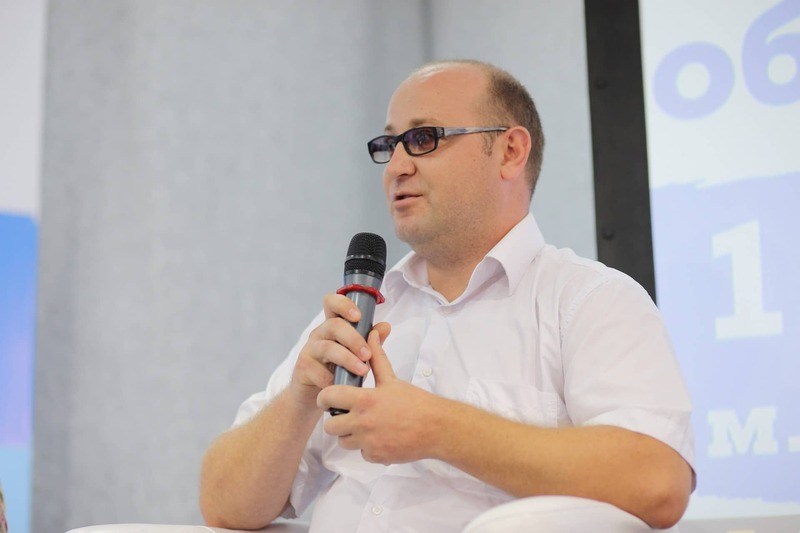 - Our village should access the city of Mohyliv-Podilskyi according to the perspective plan, and personally I do not oppose it. But people are against it! They see the city's drawbacks, lack of water and roads and do not want to join it. In addition, we have UAH 4.5 million of our own revenues, and we are concerned that they will be taken away from us. - Four years ago I said the same thing. My hromada was one of the first to amalgamate, and I thank the experts for the fact that they timely showed me how much money we would get from this. 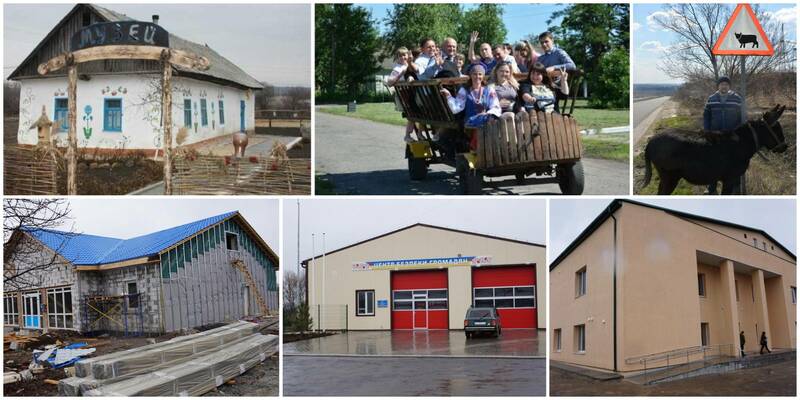 Before amalgamation, 4 villages of our hromada had a total of UAH 4.2 million of own revenues, and after amalgamation they had to receive UAH 18.7 million. Having learned about such calculations, I changed the attitude towards the reform. But the reality turned out to be much better. 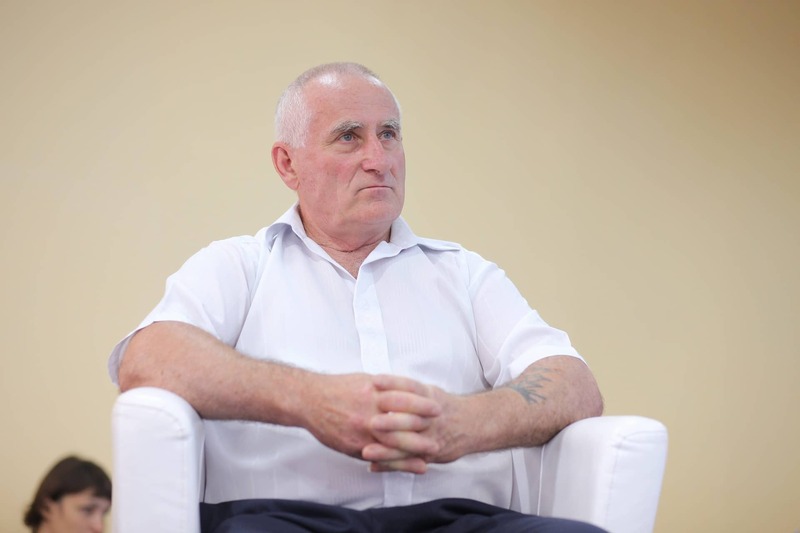 - Before embarking on the reform, we learned the European experience, and this gave us the opportunity to avoid the mistakes of our neighbours. If the business does not come to the village, there is no comfort. Why does not it come there? Because it is much easier for business entitites to have a dialogue with AHs. After all, in a non-amalgamated village council, the investor must agree not only with its head, but also with the head of the rayon, the head of the rayon council, and sometimes even with the mayor of the rayon centre. Instead, one person makes decisions in the AH. Concerning the opinion that decentralisation is killing the village. With such a number of positive examples, this idea sounds just ridiculous. It is deliberately propagated by farmers who are not at all interested in inventory of the land they are currently working on. 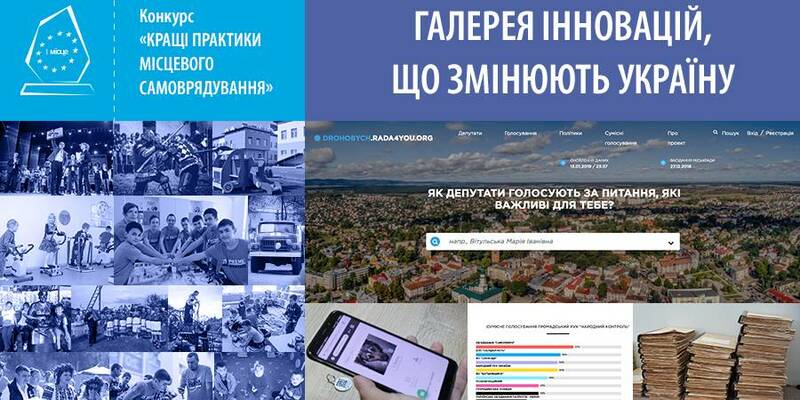 More information about the course of the debates in Yampil to be published in the further materials decentralisation.gov.ua.